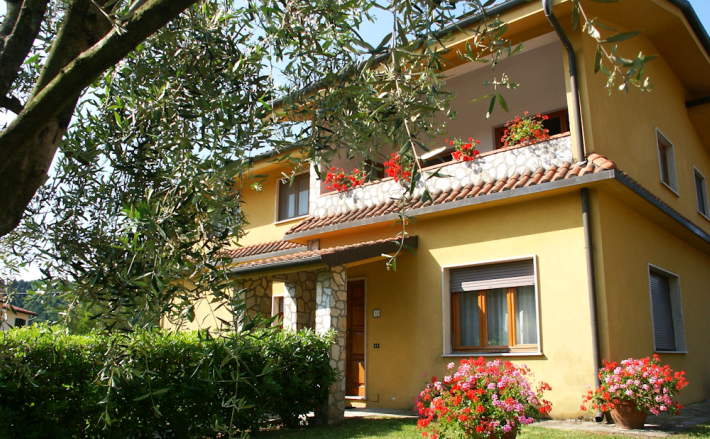 We take a look at what Italy has to offer homebuyers, with examples from Lucca in Tuscany. An increasing number of Brits are considering buying a holiday home in Italy that gives them a rental income. The interest given on savings accounts in the UK is so low at the moment that you might as well put it into a property you can use, while the fall in prices in many parts of Italy of around 2.3% means it’s a great time to buy. Due to political instability, a banking crisis and taxes on second homes, Italians themselves are choosing to sell rather than buy holiday homes. Many Italians who have inherited countryside property, that they rarely use, are struggling to pay the second home tax on them and so are now deciding to sell. These properties are often ideal as cheap holiday homes for UK buyers with average holiday rental rates remaining quite high compared to other Mediterranean countries. 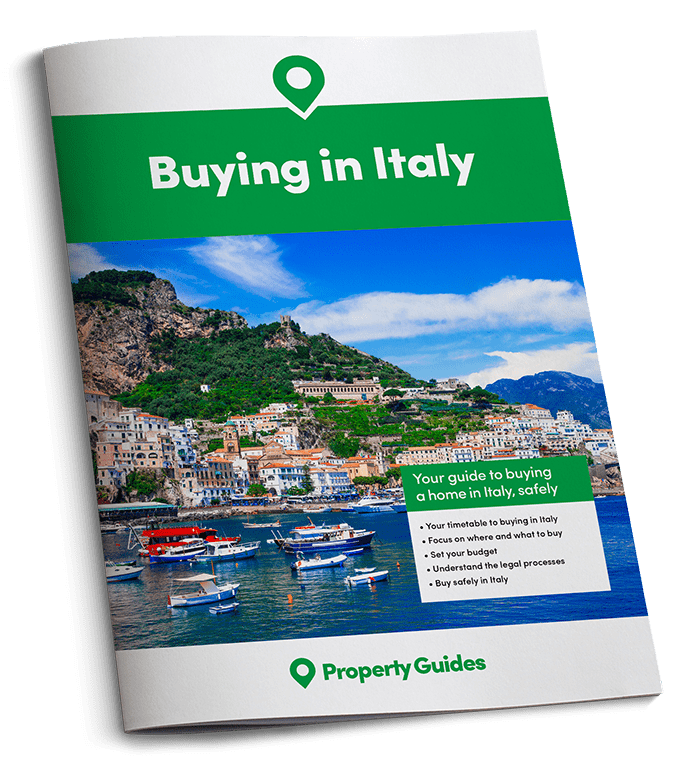 The number of searches for Italian properties increased by 3.86 percent on the Rightmove Overseas website in June, making Italy the third most searched for destination after Spain and France. Tuscany continues to attract the highest amount of interest among UK buyers. With neighbouring regions of Lazio, Emilia-Romagno, Le Marche and Umbria also showing an increase in popularity. These regions offer many of the much-loved features of Tuscany with rolling hills, mountains and hill-top villages, at more affordable prices. Puglia, Sicily, Lombardia and Liguria are also attracting more interest. The biggest attraction for tourists to Tuscany is undoubtedly the City of Florence. The high tourist numbers are beginning to worry the local Italians, who are concerned about the effect on their beautiful and historic city. Property prices are too high for most people looking for a permanent home there. But, as with any popular city or region, if you spread your search to neighbouring areas your money will go further, both in property prices and cost of living. “Coming here was the best thing I ever did. I can have a millionaire lifestyle on a shoestring”. They started off small, buying an apartment back in 1991 and then over the years have gradually sold and bought other properties, eventually ending up with their dream farmhouse with a pool. From her experience she has learnt that “the house you buy doesn’t have to be your final house in Italy.” She added, “So many people want the perfect Tuscan farmhouse for a very small budget. Why not start small and get bigger?” Sarita now helps others find their dream homes, founding The Italian Property Gallery in 2004. An increasing number of Brits are considering buying a holiday home in Italy that gives them a rental income. Lucca is situated about 50 miles west of Florence and 15 miles from Pisa airport, which has direct flights from a number of UK airports. 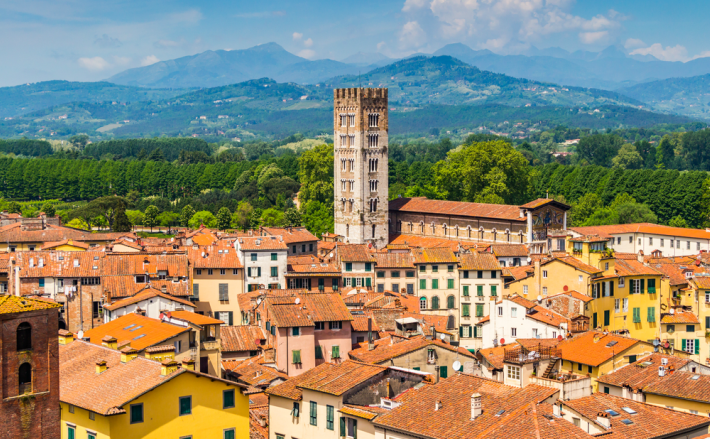 Lucca is a charming town, with a well preserved historic centre nestled within large stone walls, some dating back to the Roman era. What was once the Roman Arena is now a beautiful circular piazza. The ancient walls are a popular feature of the town, as they are so thick that the top has been turned into a green area where people can walk and ride bicycles. Lucca is the birthplace of Puccini, as well as the composer Boccherini and hosts frequent concerts in its theatre, churches and piazzas. The Lucca Summer Festival has presented great musical performers including Eric Clapton, Placebo and Santana. The surrounding countryside is superb for those who love the great outdoors, where the more energetic can enjoy walking, skiing, kayaking, canoeing, rafting and horse riding. You can also reach the coast in about an hour. In the countryside around Lucca you can find stone farm properties and small village houses for sale. The typical British house buyer in Tuscany is looking for a traditional stone farmhouse with breathtaking views across hills and mountains. A good example of such a property is Casa Martinelli, which has stunning views from its large terrace looking across the convergence of the Lima and Serchio Rivers. The house is within walking distance of a restaurant and is an area where you can enjoy skiing in the winter and walking in the summer. This four-bedroom property has been reduced to €427,000 and can be seen on The Italian Property Gallery website. If you want a view with a lower price tag, €120,000 will buy you a one-bedroom rustic house near the Abetone Ski Resort. 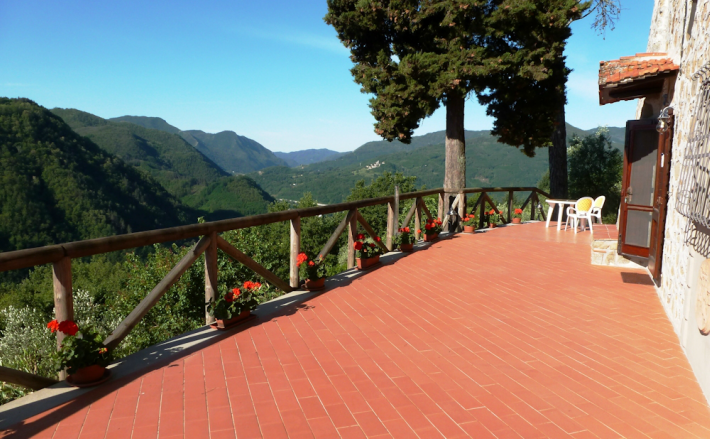 Casa Antonacci has mountain views from the terrace and would be suitable for renting out. More details can be found on Rightmove Overseas. For just €105,000 you can buy a completely restored two-bedroom village house. Casa Morelli Grande would make an ideal holiday home with hiking, horse riding and quad biking available in the local area, as well as some great restaurants. You even have the option to buy the house next door for just €55,000, which could be used as a holiday let. To see more about this property, visit The Italian Property Gallery. Countryside tourism is very popular with foreign tourists in Italy and many Brits buy properties that will also have holiday rental potential. Either they rent out the whole property for part of the year or try and buy a house that can be split into two sections, one for themselves and the other for guests. On occasion, you may even be able to buy a cheap property nearby, to buy-to-let. In a superb location around 9km from Lucca’s city wall, in the direction of the coast, Italian Property Gallery have a 300m2 Villa for sale with a pool. This property is ideal for anyone wanting to live in Tuscany and also have a rental income, having already been divided into two apartments. Casa Rosetta has an asking price of €400,000. You can find out more about this property on Rightmove Overseas. For anyone looking to run a small B&B in the Tuscan countryside, Dimore Canapali is a traditional farmhouse full of character and great views. It is also centrally located just 20 minutes from Lucca and 40 minutes from both Pisa and Florence. This property is also available for €400,000. See more details on Rightmove Overseas. Stone houses with character features can be found across Italy. Stone farmhouses are typical of what is available in many of Italy’s hilly and mountainous regions, and the further you get from a town or coastline, the cheaper they will be. In general, the cheapest properties will be further away from the amenities of a town and may need some renovation. We recommend spending time in an area to get a feel for the location before rushing to buying a property. What makes a great summer holiday destination, might not be best suited to all year round living. If you are looking for a house you can rent out to tourists, location is very important and this includes the distance from an airport. Fortunately, many Italian regions have good transport links and flights to the UK. Internal flights are also good, allowing you to visit other parts of the country easily and to see all the elegant cities and breathtaking scenery Italy has to offer.